Chinese Internet giant Tencent Holdings Ltd has struck the latest in a string of music distribution deals, this time with Sony Music Entertainment, as it teams up with labels to try to develop China’s paid-for music market and curb piracy. The partnership, announced on Tuesday, will give Tencent the right to distribute Sony Corp’s music catalog online in China, including artists like Daft Punk, Bob Dylan and Yo-Yo Ma. 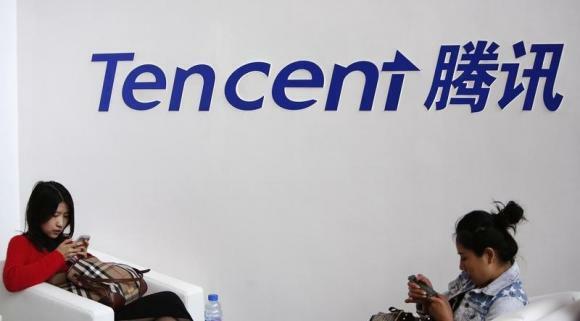 Tencent, which operates China’s biggest messaging app WeChat, did not disclose financial terms of the deal. Shenzhen-based Tencent will also promote Sony Music’s performers on its online platforms, including social network QQ. According to Tencent, QQ has more than 820 million monthly active users. Last month, Tencent signed a similar music distribution partnership with Warner Music Group. Earlier this month it also agreed to become the exclusive online distributor for South Korea’s YG Entertainment, which manages a stable of K-pop artists including “Gangnam Style” rapper Psy. With a market capitalization of about $135 billion, Tencent is quickly becoming an entertainment empire in China. Its video games, the firm’s main cash cow, are among China’s most popular and Tencent mobile games regularly top download charts.